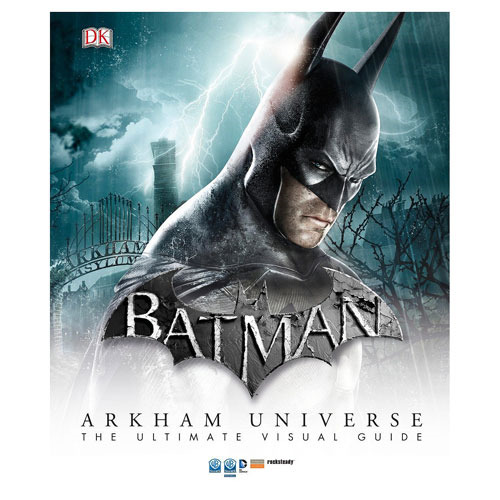 The Batman Arkham Universe The Ultimate Visual Guide Hardcover Book details the key storylines, characters, locations, weapons, gadgets, and equipment of these award-winning, action-adventure games. The book is created in collaboration with Warner Bros. Interactive Entertainment and RockSteady (the game's creators), and features many of the timeless characters from DC's Batman comics, such as the Joker, Catwoman, Robin, the Penguin, Harley Quinn, and the Riddler. 200 pages. Measures approximately 12-inches x 10 1/8-inches wide.